Postmodern architecture: Its most important legacy. Was Postmodern Architecture Any Good? Remember postmodern architecture? Those patchwork buildings with bits of classical decoration and bright colors that were all the rage in the 1970s and 1980s? 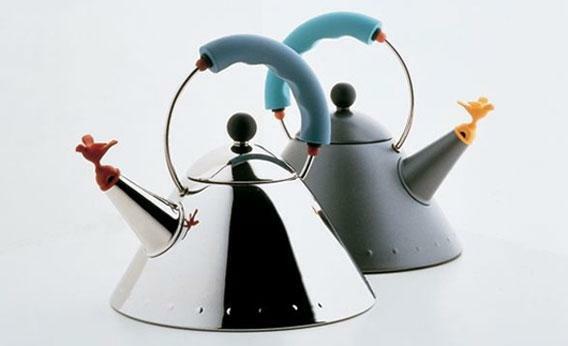 Think of the AT&T Building with its Chippendale top, or Michael Graves’ Alessi teakettle. “Reconsidering Postmodernism” was the subject of a two-day conference organized by the Institute of Classical Architecture & Art in New York last weekend, which aimed to “look back at Postmodernism’s history with the critical distance of an ensuing generation.” A highlight was the appearance of Tom Wolfe, 80, but still sartorially splendid, who gave a spirited summary of his influential postmodern tract, From Bauhaus to Our House, this year enjoying its 30th anniversary. Others saw postmodernism as a historic—but significant—episode. Robert A.M. Stern, who, chameleonlike, altered his postmodernist skin to become a classicist and is now a committed eclectic, pointed out that postmodernism lasted almost 50 years. The acme of the postmodern movement, James Stirling’s Neue Staatsgalerie in Stuttgart, opened in 1984; Venturi’s Sainsbury Wing, a no less accomplished postmodern achievement, is 20 years old. * As architectural styles go, this is a good long run, longer, in fact, than that of the International Style modernism that postmodernism replaced. “Reconsidering Postmodernism” sometimes felt like an architectural class reunion. Michael Graves was there, and so was Jaquelin T. Robertson, who, as dean of architecture at the University of Virginia, organized a famous postmodernism conference in 1982. Vincent Scully, the Yale historian who acted as wet nurse to a generation of postmodernists, especially the late Charles Moore and Robert Venturi, was present in the form of a filmed interview. The clip included a charming exchange between Scully and Venturi. Neither man seemed entirely comfortable with the idea of postmodernism, even though the conversation took place in front of the Vanna Venturi House, which Venturi designed in 1964 and which many regard as the birthplace of postmodernism. Postmodernism, whether it is a style or a frame of mind, and whatever its faults (and in unskilled hands, it can be truly, embarrassingly awful), had one very important effect: It freed many architects from the straitjacket of orthodox modernism. Modern architecture was about “starting from zero,” in Walter Gropius’ memorable phrase, and postmodernism reintroduced an awareness of the past. Philip Johnson, a postmodernist gadfly whose ethereal presence hovered over the conference, once mischievously told a Harvard class, “You cannot not know history.” Equally important was the effect of postmodernism on the city. Postmodern architects may have sometimes—too often—designed funny-looking buildings, but unlike their International Style predecessors, they made a concerted effort to fit their work into the urban fabric, which led to a revived awareness of the well-established traditions of city planning, and ultimately to the new urbanism movement.